CUSTOM AWNINGS FOR YOUR HOME. Awnings will enhance the curb appeal for you home and make outdoor living more enjoyable for you and your guests. 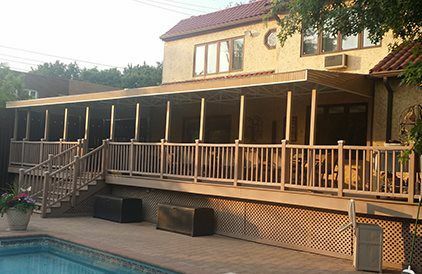 We design, manufacture and install all types of awnings for your deck, entranceway, patio, etc. We have a variety of options and will help you with all decisions from material, color, size and shape.